I've wanted to recommend this, but not sure how well known it is. - Summary: Midori Saejima is a first-year student at the newly established Hijiri Gakuen, who runs for student council. Story follows her relationship with the club president, as well as the friendships she gains during her time at school to her graduation. Pros: As with all other Yazawa Ai stories, a lot of heart is put into the characters. I like how she never fails to add depth even to side characters, allowing us to sympathise with all their stories. The story is just your basic high school romance, but Yazawa Ai makes it unique and interesting. I love the contrast between the modern and then more traditional characters. As always, the fashion in the manga is on point. Cons: The art is not as clean as her later releases, but gets progressively better (this is just the complaints I hear, actually really like the art). 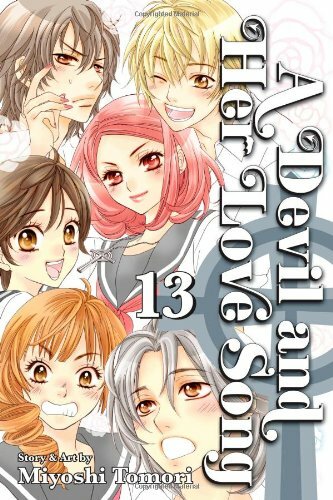 Overall: One of my favourite Shoujo manga of all time, I've gone back to it too many times to count. It's Yazawa Ai, but without all the tragedies. If you haven't read Gokinjo Monogatari (second favourite from Yazawa Aimafter this) yet, follow up with that! - Summary: Main character holds on to regrets of when she was a teenager. She liked a friend, and was always dishonest to him, lying about her true thoughts and feelings. After an accident she has the chance to watch her past unfold, and will herself to change. Pros: Probably one of the most relatable manga I have ever read. It's amazing how great this story is despite being a one shot (which is usually just quick fluff). This is an awesome read, worth every second of your time. Cons: An old release, the art is very 90s and rough, but considering how amazing the story is, this can be easily overlooked. Overall: Tied with Heptagon (similar plot) as my favourite one shot manga. Really great story that girls of any age can relate to. Can't recommend enough. - Summary: Nana, an apathetic 24 year old experiences a car accident which brings her back to her 14 year old self. From there, the memories she shut away begin to unravel and she remembers the first love she never truly had. Pros: Like 1/6000 it is a relatable manga, but with much better art. The story is amazing, with twists that keep you on your toes. An amazing one shot, heck just an amazing manga. Cons: Wish it was longer, and we had a chance for more romance in the ending. Overall: A short read, that won't take up much time at all, but will stay in your mind. 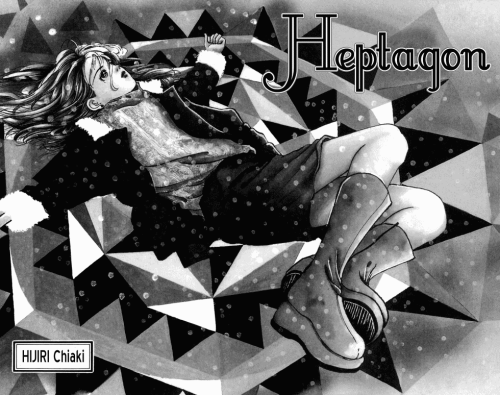 Edit: I was under the impression that Heptagon was a one shot but it actually has 5 chapters. My memory fails me, lol. 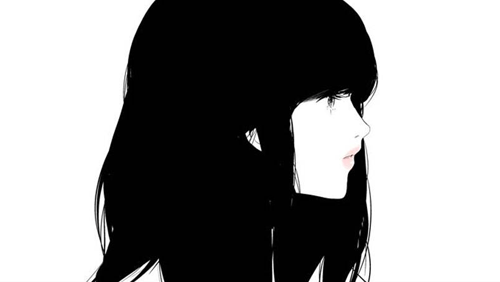 - Summary: 11 year old girl named Niina remembers the memories of her past life as a girl named Chitose, including the memories of Chitose and his boyfriend; Atsurou. In her present life she meets again with Atsurou, and begin to love him again. Pros: Artwork's soft and nice. The characters are lovable; the character's building is great, they help each other grow. Their relationship is mature. It portrays reincarnation nicely. It also gives you family feels. Cons: I don't feel too much in near-end chapters. Too bad since Vol 2 gave me too much feels. Overall: Recommended. There's a big age gap in their relationship, but since both of characters are so mature, it doesn't matter. Some scenes are touching, prepare for tissues. - Summary: Yanagi has it all—money, fame, brain, looks—but one day a girl named Kujou Mikoto was transfered to his class and beat him in every lesson. He became obsessed to her and always trying to beat her, but always failed. One day he discovered Kujou's soft side and became to love her. Time passed and they are college students in the same college now. Will Yanagi win Kujou's heart? Pros: The artwork is so cute. I love how the setting is in college; the perspective is more grown and it gives more freedom to some scenes. The characters are so lovable, especially Yanagi! It's very funny to see Yanagi's attempts at making Kujou realizes his romantic feeling. The romantic scenes are really cute too. Cons: There's a third and fourth person, but they're still lovable, IMO. This is a slow-pace story, be patient. And the heroine is very, very, dense. 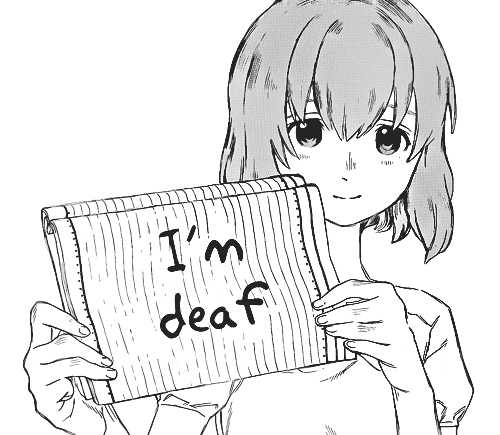 - Summary: Ishida Shouya, bullies a deaf girl, Nishimiya Shouko, to the point that she drops out of school. As a result, he is ostracized and bullied himself with no friends to speak of and no plans for the future. Pros: The main character's building is GREAT. At first you'll hate him, give it time and you'll like him and find him relatable. The heroine's character is great, too. You'll probably never see someone like her in real life. How it portrays bullying is so realistic. Cons: You may find some scenes in the beginning of the story really cruel. Overall: This story is about guilty feeling and forgiveness. It contains fake friendship, isolation, bullying people with disability. It won award for "Best Rookie manga" and supported by Japanese Federation of the Deaf. P.S: English is not my first language and I never write a review before. Sorry for the mistakes. Periwinkle, you should never have to apologize for your english. And i love Last Game! milhouse, once exams are done, I shall start on those recs right away. They look really good. I have a few more recs, hopefully by the end of this week. Ugh, exams are killing me. I think I may ask the mods to move this thread to the manga sub forum. overall I love the lists. does anyone know any other manga like this? Woot, I am going to try and rec a few more over the next couple of weeks. Thanks mintxzy! And alterna, HnR is definitely one of those rare manga that are decidedly super shoujo, but still very good. It's difficult to see something quite like it tbh. IDK, I'll keep a look out for other good teacher student romances, but tbh, most are really REALLY bad. - Title: Are You Alice? Pros: le ART. So very beautiful. The character designs and the setting design is all so detailed and amazing. The characters here are all very anime, but without large distracting eyes, and their designs aren't overly cutesy, which allows for the more sinister and serious feeling of the overall manga to reach through. The story has a great pace itself, with really well done action/ horror scenes and yet very light hearted, almost flippant moments that really capture how crazy Wonderland is. Cons: Story just kind of starts with no warning, and it doesnr really stop to explain things. It very much a story based on intrigue and mystery, so a lot of points the characters talk about may not be fully revealed to the reader until much later. Overall: Probably the best manga adaption of the classic that I have seen. No romance, but tbh, it doesn't really need it. Hi! I was invited by aquaisra to give a few recommendations here so here goes. I know she already posted this but this series is just too good, so I'm going to second her recommendation in case anyone missed it in the first post. Not likely, but I must include it on my list! - Status/ No. Chapters or Volumes: Complete / 56 chapters. - Summary: Mai Taniyama, a freshman in high school, loves telling ghost stories with her friends, but when she accidentally breaks an expensive camera owned by Shibuya Psychic Research, she is forced to repay her debt by working for the young psychic researcher Kazuya Shibuya, who she dubs Naru for his cold and narcissistic attitude. The duo is soon joined by many others as they embark on a quest to solve paranormal mysteries. Pros: Absolutely brilliant cast of characters with great chemistry that you won't find in many other series. They are what make Ghost Hunt, Ghost Hunt. The plot is well-executed but it is rather episodic, though the detailed explanations bring into the story a type of realism that few fantasy mangas have managed. The storytelling can feel both eerie and disturbing at times, and warm and touching at others, but the changes never seem abrupt. The romance is secondary but not absent, and is developed in a way that leaves readers more enticed (none of you have seen me fangirl Naru/Mai like a deranged idiot yet). I personally think that Fuyumi Ono made the right decision by focusing on the plot and the chemistry of the cast as a whole as they grow closer in their adventures. Cons: The old style art and sometimes odd-looking facial proportions can be a turn off to some readers. It's also the main reason I much prefer the beautifully styled and cinematic Ghost Hunt anime, though there are pros to both versions (which essentially tell the same cases but the anime avoids addressing a certain major spoiler). Overall: Quality series. A must read for mystery lovers and fans of stories with substance. 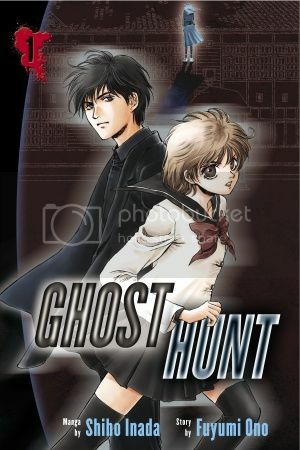 Ghost Hunt may be lighter on romance than the average shoujo manga, but that in no way detracts from its enjoyment. I recommend this series because of its overall package - its plot, its characters, its intensity, its relationships, its mysteries and more. - Status/ No. Chapters or Volumes: Incomplete / 73 chapters. On eternal hiatus, but please do not let this deter your from reading this series! - Summary: Daisuke Niwa is an ordinary, if slightly unlucky, middle school student. When he is rejected by the girl of his dreams on his fourtheenth birthday, he suddenly comes down with a 'condition' that has plagued the men in his family for three hundred years. Whenever he thinks about his crush, Risa, he transforms into the legendary phantom thief Dark Mousy. 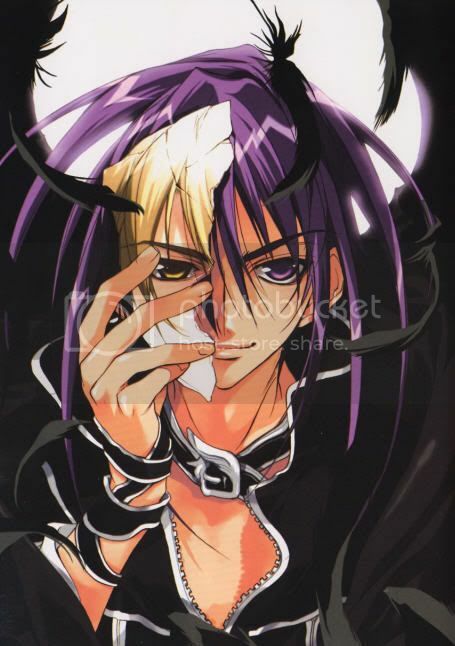 Unfortunately, when Dark sees his crush, Risa's twin sister Riku, he transforms back into Daisuke. The only cure is if Daisuke can get Risa to fall in love with him, but he must do so while keeping his identity a secret. Pros: The premise is unique and the story is just as much plot-driven (actually a lot was left out from the summary above) as it is romance-driven. Each of the main characters is unique and memorable in their own way, and not only that, their romantic and platonic relationships with each other are well-developed. In addition, I personally found the plot to be continuously engaging throughout all its chapters, which I can only say for about five manga series in any genre. I think part of the reason is that the world of DNAngel very much comes alive and stands on its own, and everyone has a well defined role in that world. The romance is genuine and cute, but not saccharin. The art is solid in terms of anatomy, perspective, action scenes, backgrounds and paneling. And Dark Mousy. Cons: The art style changes a lot (starting off very shoujo and ending up very shounen) because of the mangaka's frequent hiatuses but it's never bad by any means. The plot is also slightly scattered at times but it reamins interesting nevertheless. 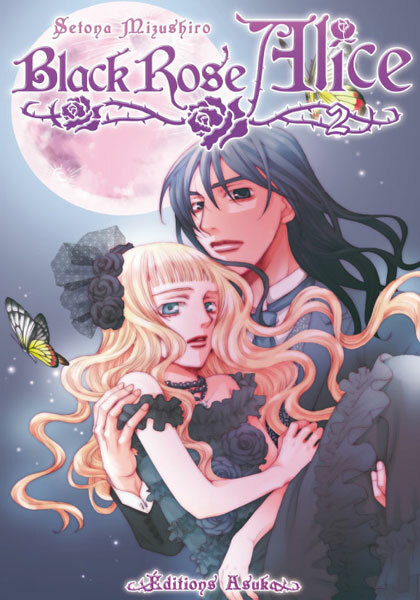 Overall: DNAngel is easily one of the most "underrated" shoujo series ever (second only to Ghost Hunt imo). It's frequently mistaken for a shounen series because the main character is male and there are elements in the story that blur the lines between the two genres, but DNAngel is actually a shoujo, and a good one at that. I highly recommend it if you want something with fantasy, romance, action, and supernatural elements all wrapped together into one amazing story. - Status/ No. Chapters or Volumes: Incomplete / 23 chapters. - Summary: Vienna, 1908. Dimitri is a popular young singer on the rise, living with his benefactor's family and almost treated like one of them. He is secretly in love with his friend Theo's fiancee Agnieszka, and an argument about her with Theo sends him rushing out of the house...to his death. Revived by a mysterious butterfly, Dimitri learns that his body has been colonized by the seeds of a dying vampire, allowing him a vampiric rebirth. Eventually he comes to accept this under tragic circumstances. Flash forward to Tokyo in 2008, where a young couple is involved in a tragic accident. Dimitri appears to the woman in the hospital with an offer – he will save her boyfriend, but at a cost. Will she be willing to pay the price? Pros: The storytelling style/paneling is very well done, and it's obvious the mangaka did her fair share of research before sitting down to write the story (I believe she said in her notes that she actually went to Vienna). The premise takes a rather interesting spin on the overdone topic of vampires (though I admit Vampire Knight was my favorite shoujo manga until ch. 30 before it crashed and burned). I very much enjoyed the creative plot and found the first three chapters set in Vienna to be more interesting than the rest, but it was all still very good. The touch of horror was well incorporated. Cons: The art is distinctly Setona Mizushiro style, but unfortunately in her style all characters' faces appear very, very similar. Their expressions come across as a little hollow or stiff at times. The main girl isn't entirely likeable and there are also some scenes that left me thoroughly confused because of how abrupted/OOC they were. Also, this story has some 18+ scenes that may not be appropriate for younger readers, and the reverse haremness was a little too blatant. Overall: Kurobara Alice is unique and dark, with ample romance. Something about the way it's written reminds me of peeling away layers of an onion. This mangaka in particular has done some great works, so it's no surprise KBA didn't disappoint. This series is definitely for a more mature female audience (and those who can stand the sight of hairy spiders crawling in characters' mouths). Whenever I revisit this story, I always enjoy it just as much as the first time I read it. - Status/ No. Chapters or Volumes: Complete / 75 chapters. - Summary: Kahoko Hino goes to the prestigious Seiso Academy which regularly holds prominent musical competitions. Though Kahoko is in the regular department and knows nearly nothing of music, one day she meets a curious little creature who introduces himself as a music fairy by the name of Lili. This fairy gives the unwilling Kahoko a magical violin, which any one can play. That day, the names of the students who are to participate in the music competition are announced – and Kahoko's on the list! Suddenly Kahoko is thrown into a world of music, where every note counts, where she must strive to be perfect. And then there are the other competitors, a timid girl and five handsome, musical young men who are all effected by Kahoko's music in very different ways. One thing's for sure – Seiso Academy will never be the same. Pros: The premise makes this series sound terribly cheesy, but the magical fairy has little to do with the rest of the storyline. This manga has good art, amazing paneling and storytelling, great character chemistry, and a refreshing focus on music over the romance despite being a "reverse harem". The guys are not entirely just eyecandy and have pretty defined characters too. Cons: The heroine is rather mopey and there is little character development for anyone throughout the series, but as this is a light-hearted manga, it doesn't really detract from much overall. Overall: This is one of the better shoujo series out there despite its flaws. 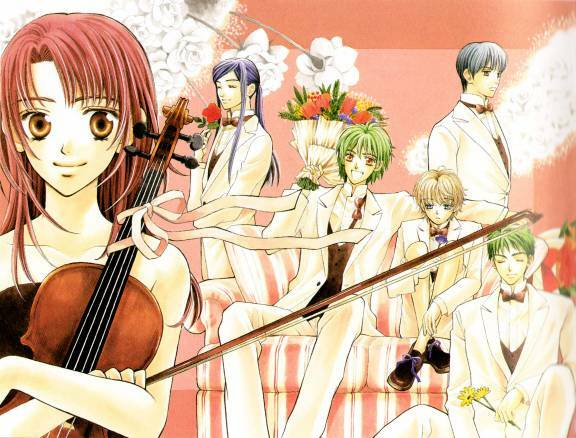 Nothing super deep or philisophical going on here, but I think La Corda's focus on classical music and its subtle romance is what makes it good. I always come back to this thread when I have time. Thank you to everyone who contributes! - Summary: Asuka is a guy who has likings for girly things like shoujo manga, baking, and sewing. However, his mother forbids him being so and wants him to grow up manly. He starts learning kendo and karate and grows up to be stoic guy. But can he fight the urge of falling in love and hiding his real identity? Pros: This heart-throbbing manga shows a handsome, popular and manly (on the surface) fell in love with a tomboy girl excelled in martial arts. This manga has interesting turns where the manly boy has girlish heart and the tomboy girl has the spirit of samurai. As the story goes on, the protagonist awakens the real nature of the otomens around him, saying "Be true to yourself". Seeing the protagonist felt fluttered and his heart skipped a beat in front of his girlfriend was always heart-warming. The author leaves the biggest suspense from the start of the manga which is the protagonist's mother strongly object her son being an otomen. Readers will always wonder "how will his mother find out?" and "how will Asuka convince his mum?". For all shoujo manga has happy ending, Otomen has an happy ending too, but the final incident before the ending was unexpected and cute! Cons: There are some repetitive scenes and monologues revolving around the protagonist. This may be the author's way to emphasize the nature of the protagonist. Some characters in Otomen look almost the same, so you may need a moment to differentiate.Having the same look on some characters made new character appearances of no surprise. Overall: This is a heart-throbbing manga that touches your heart and telling us "do not judge a book by its cover" that tells us to not see someone by appearances only, and to accept the true nature of a person. A good manga with good life lessons too! I will like to recommend Fukumenkei noise. Some people can't understand the storyline, but if you do, you will most likely find it the most well written series ever. Every single character is likable. Including the 2nd main girl that has a crush on the main guy. Thanks for the recommendations! I'll check them out. I already read Horimiya & Hirunaka no Ryousei. 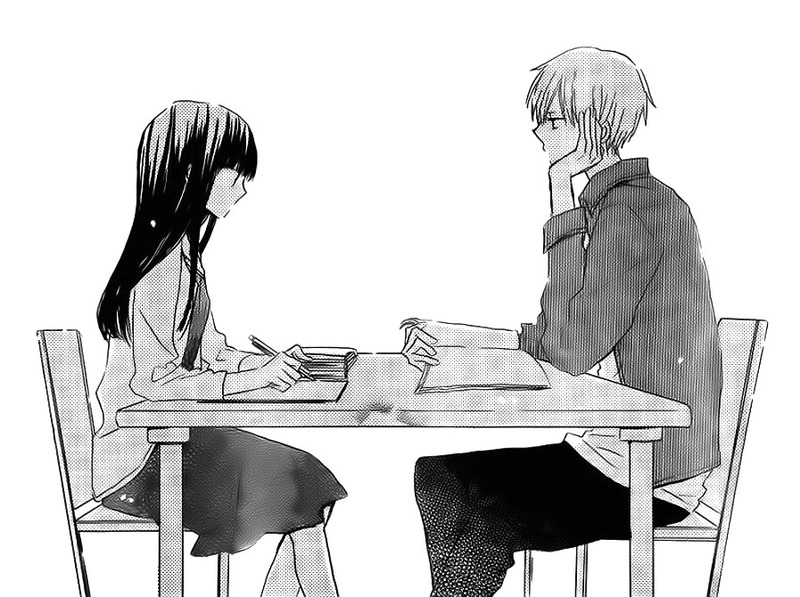 You should check out Taiyou no Ie too (love the characters <3), and Hibi Chouchou (cons: slow romance and "too silent", although it's a nice change from mangas who rush their characters into love). - Summary: Akuma to Love Song revolves around an unusual girl, Kawai Maria who was expelled from her previous school, St.Katria Girls' School, and soon transfers to Touzuka High School, a public school with low standards. Her sharp tongue and straightforward personality often leads everyone else to hate her with the exception of two handsome boys who eventually get involved with her. With a devil's aura like hers and an arrogant facade to pair it up with, it's just too hard to be understood. And so Maria needs to deal with bullying, adjusting, fitting in and romance. Just how will a devil like her cope with all these predicaments? I just signed up on OH to post this, I'm glad I find this thread . I just read Horimiya bcs of the recommendation & I love it! 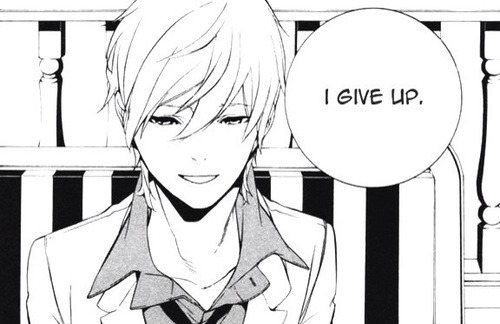 On another note, I think I kinda stop reading shoujo manga when I got into college 8 years ago (sigh, oh age). But suddenly I have the urge to read manga again. I thought I wouldn't love shoujo manga since I wasn't highschooler anymore, boy how wrong I was. LOL. Hey, it's nice to meet you, and welcome to Onehallyu! I like your SHINee display picture. Horimiya is a really good read for sure. If you ever need help finding your way around the site, just let me know okay? We have an official SHINee thread as well where you can hang out with fellow Shawols. 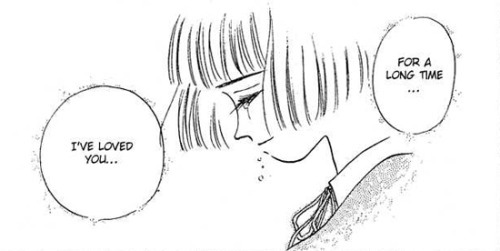 I'm glad you're back into reading shoujo, and of you ever have any recommendations that you yourself have, then please do post them! 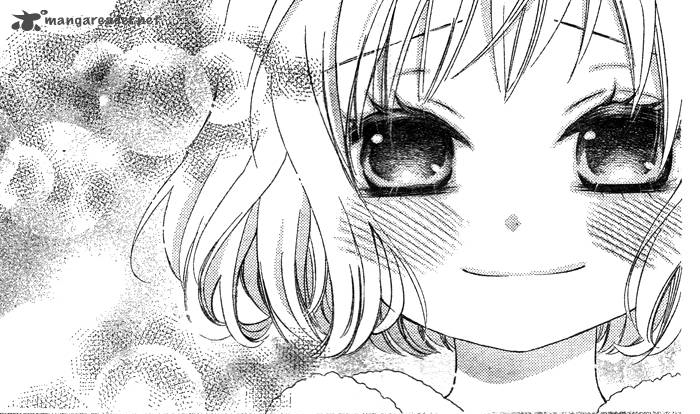 Strobe Edge is gold fluffy shoujo but not childish. - Summary: Yoo Ee is a young girl, who always has just wanted to grow up, because the grown ups around her have proven themselves to be incompetent. She has to take care of her sister, alone, whilst fending off poverty. But when she meets the strange magician who runs the theme park, she begins to question everything. rise to new meanings. The story line is deep, and movingly told. This is just on another level of perfection. Cons: None. This is amazing. Overall: Another manhwa that I quite literally could not put down. Fans of Paradise Kiss will like this one, but tbh, I think anyone would like this. One of the most interesting manhwa I've ever read.